We recently signed a lease (five years, no less) for a new spot on the third floor of the Northwest Hotel Building in Des Moines. This is a step up, both literally and figuratively, from our first-floor office space which sat behind the bathrooms in Suite 100. As I described in one of my first blog posts a year ago, the modest surroundings fit the company’s life stage well. 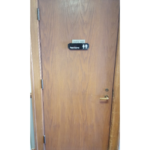 Our first office suite was conveniently located behind the restrooms. 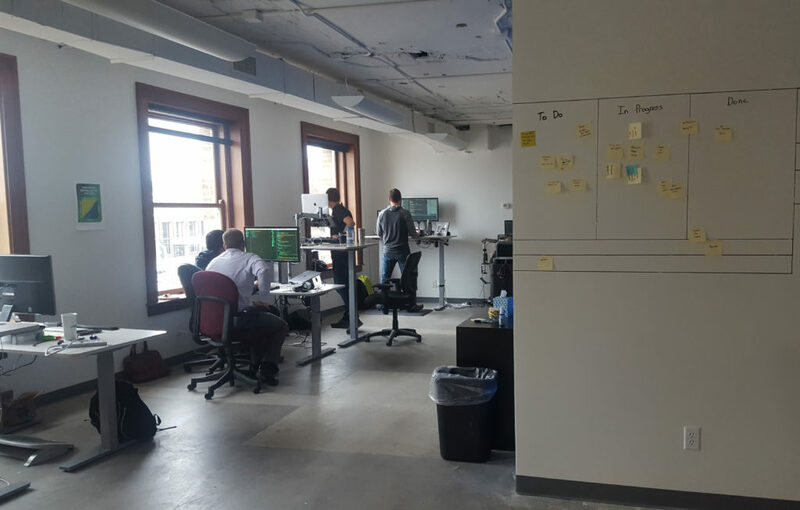 Now, as we move towards the next phase, not only did we need a more fitting space for our current-sized team, but also one with room to grow. The downside is that the space isn’t a perfect fit for where we are today; it’s too big. It’ll be a better fit when we have triple the headcount. But, we’re paying for the entire space from the first day. Luckily, we’ve managed to sublet a portion of our footprint out to a couple of other businesses. This subsidized the move-in costs and defrays our monthly spend going forward. Cash is the lifeblood of a startup; so, while it’s not ideal to share our office with two separate and distinct businesses, the extra cash it brings represents more resources dedicated to employee salaries, and sales and marketing efforts. These are the initiatives that generate value to the company. While a flashy office all to ourselves would be nice, our focus remains on product launch and sales.